Gill was a gentleman before most of his classmates even knew what that might be. We had drivers ed together, but lucky for him he wasn't in my car. Rod gave him a hard time, but we both really liked & respected Gill. It's true the good die young. Gilbert was my friend since 3rd grade. His mom brought us hot chocolate and tacos while we were studying Mexico. He and I used to go around to the other 3rd grade classes and we practiced Spanish with them. Funny I don't know why I tagged along but I liked it! Gilbert was kind and complimentary. He was the kind of guy who would open a door for a woman. I had a crush on him when we were little but over time I just loved him like a brother or very good and old friend; which of course he was. He was the most awesome baseball player. Oh, and I probably wouldn't have been able to kick a ball or throw a ball, much less actually CATCH a ball if he hadn't helped me in 4th grade. So, after a while, I wasn't self-conscious about throwing or kicking or catching balls. When I found out he died, I don't think I could move for several minutes. So sad. The last time I saw him was over at Diana Feola's house on Lake Sammamish. He seemed as happy to see me as ever. Not too many men can measure up to a guy like Gil. I wish he knew how many people loved him. I know I did. Gil and I sat next to each other in Senor Mooney's Spanish class. Gil had an advantage in beginning Spanish. The Spanish words I was most interested in learning were swear words and Gil was a great resource. The favorite swear phrase he taught me was a hybrid of English and Spanish: crusty calsones. I asked him what it meant and he started laughing and said it means "crusty underwear". when I would see him in the hall from then on i would holler crusty calsones and we would both laugh. He was a great guy. 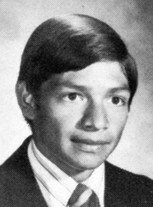 I first meet Gil in third grade at Oak Lake, then in the sixth grade my family moved down the street from the Peña's. I spent lots of time in their home. In fact Mrs. Peña still calls me her "vanilla daughter"! Gil was like a brother to me! I went to many of his baseball games, from little league when he played for North Park Merchants, Sparling Cadillac Pony team, Metro Savings Babe Ruth, all the way through his years as an INGRAHAM RAM and on to Stoen Kassuba Senior Babe Ruth team. I remember very well piling into the Peña's van along with all Gil's brothers and sisters to attend Gil's games. Fantastic memories!!! Then came the call from his parents, that Gil had passed away, I remember wailing and crying in disbelief!!! He was a great friend and a fantastic shortstop!!! Gil and I were in a lot of classes together and I came to love watching baseball because of him. 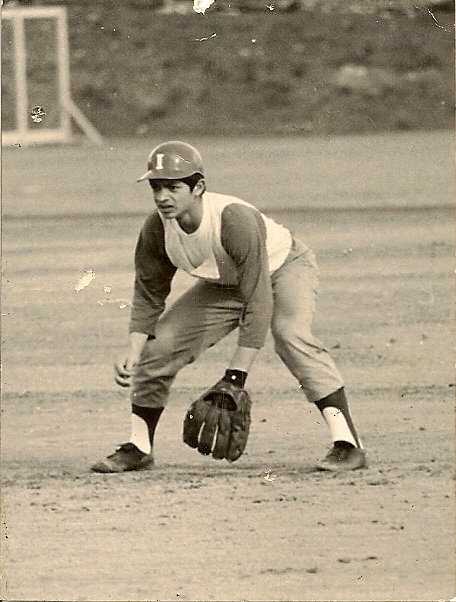 It's weird to see the photo of him on the field because that's the image I have in my mind of Gil. We were school friends but I secretly wished it could be more. I married a ball player - probably because of my fondness of Gill. i lost track of him after high school and always wondered where he went. I will remember him fondly always. My thoughts go out to his family as I'm sure his loss is still felt no matter how the years have gone by. Gil was an outstanding kid to have as a classmate... he played sports like a star, had a winning smile and was really cool. I was always in awe of him. A few years after graduation I got to know him a bit thru the business where his mom, Gil and his sister all worked. A fine human and gentleman. Saddened to hear the news. Gill came to Oak Lake Elementary school when we were in the 3rd grade. I was taken with him for the fact that he was so nice and helpful. The teachers loved him and he knew Spanish and the teacher would ask him how to pronounce words. We were a tight-knit group at Oak Lake and Gill fit right in, not to mention all the way through high school at Ingraham. He was so athletic. I just found out recently of his passing am saddened beyond belief.